These luxurious earrings are fit for a mermaid. 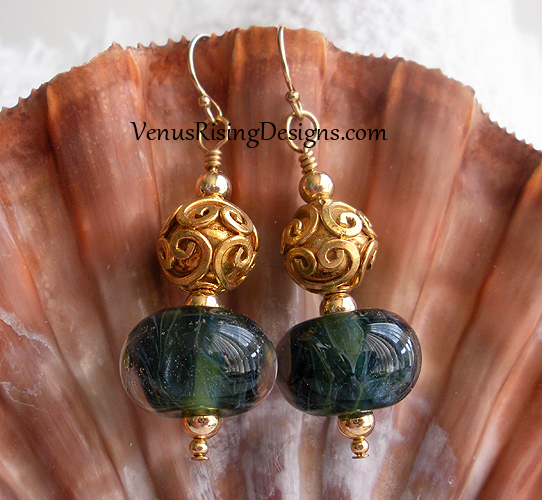 The borosilicate glass lampwork beads remind me of the ocean. You can see waves of greens, blues and teals encased in clear glass, which gives them a wonderful sense of depth. Topped with ornate vermeil (gold over sterling silver) beads. Gold-filled beads and findings; wire wrapped. About 1-7/8"